We looked at Emery Place, but I didn’t like it because it was a really small facility. I just didn’t think that they would have enough to offer my parents. It was nice and clean, and they seemed to really care about their residents. They had good activities, but for us, it would be a 4 because they didn’t meet all of our needs. Emery Place Assisted Living was very nice and very clean, but the rooms were very small. The staff was minimal, but it seemed like they had a full range of services. The dining room looked very clean and very nice. They could improve on the number of staff to help the residents. The best way to get to know a community is by scheduling a tour. 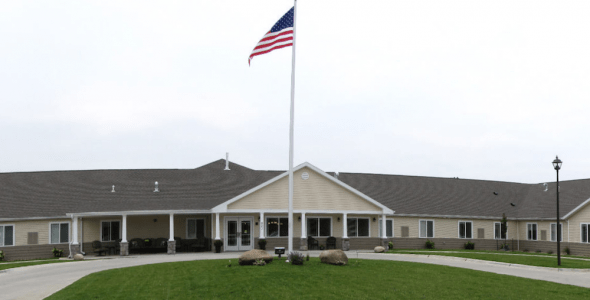 See the facilities, meet the staff and residents, and get a feel first hand what it's like to live at Emery Place Assisted Living & Memory Care Assisted Living. A brand-new senior living community in Robins, Emery Place offers the perfect combination of homelike accommodations, convenient services and personal support. From our private apartments to our spacious common areas, no detail has been overlooked in the construction and design of our community. Emery Place is managed by Senior Housing Management, a professional real estate management firm based in Cedar Rapids. Every individual at a Senior Housing community enjoys the appreciation and value of our signature Red Carpet Treatment. Assisted living residents here at our community select from one- or two-bedroom floor plans, while our memory care residents enjoy the comfort of a private studio apartment in the secured memory care portion of our building. All accommodations are outfitted with private bathrooms, a kitchenette, an individually controlled heating and cooling system, as well as an emergency call system that is monitored twenty-four hours a day. Three healthy and delicious meals are provided each day. These tasty dishes are served restaurant-style in our community dining room. Should it be required, we are happy to make adjustments to accommodate a resident's unique dietary restrictions. Located throughout Emery Place are relaxing common ares where seniors can socialize with neighbors and visiting loved ones. In addition to the excellent meals provided each day, residents of our community enjoy the extra convenience of regular housekeeping and laundry services. Seniors are also provided with the opportunity to take part in a variety of events. These regular events and social gatherings are organized by our Life Enrichment Coordinator. Activities include bingo, walking club, baking classes and Live 2B Healthy. As we are a community that is staffed around-the-clock, residents of Emery Place can rest assured that someone is always available to lend a helping hand. Services might include assistance with mobility, personal hygiene or medication management. Seniors with Alzheimer's or another form of dementia receive personalized services to best meet their unique needs. Robins seniors seeking a supportive setting for assisted living or memory care should look no further than Emery Place.